MaximumSoft Corp. today announced new release of tools that help to transfer company's online catalogs, websites, presentations to Apple's iPad and view them at any time, even when Internet connection is not available. The tools allow users to download HTML-based materials either directly to iPad, or to their desktop computers and then upload downloaded files to their mobile devices. MaximumSoft Corp. today is pleased to announce new release of tools that help to transfer company's online catalogs, websites, presentations to Apple's iPad and view them at any time, even when Internet connection is not available. The tools allow users to download HTML-based materials either directly to iPad, or to their desktop computers and then upload downloaded files to their mobile devices. Customers can use iSaveWeb Pro app to download company online catalogs, websites, presentations directly to iPad, iPhone, or iPod touch. For greater control over the download process, customers can use WebCopier Pro to download website from the Internet to local drives on their desktop computers. Then, use WebCopier Pro wizard and upload downloaded site directly to the mobile device. 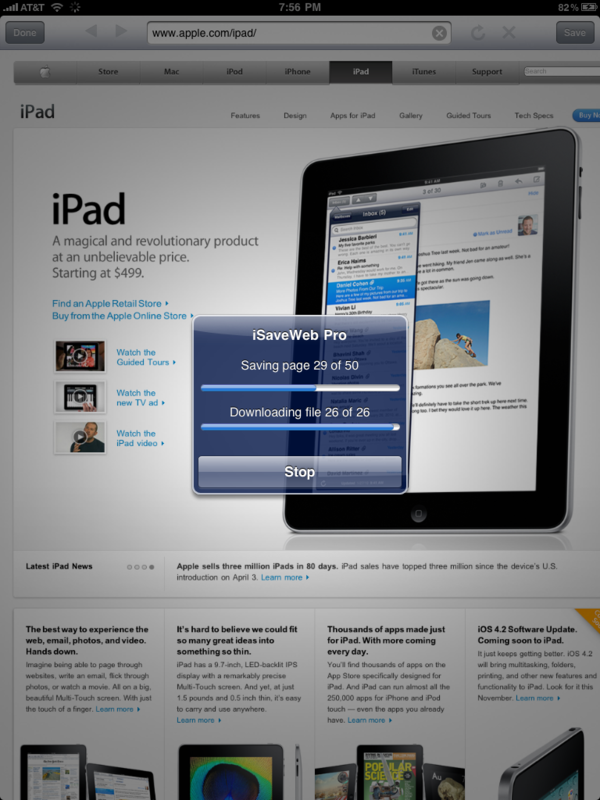 Finally, use iSaveWeb Pro app to view uploaded websites on iPad, iPhone or iPod touch. Sites-2-Go app allows to host very large (up to 2 GB) websites on iPad. Sites can be uploaded either directly from iTunes, or from a web browser. 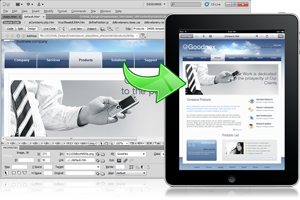 Also, web developers can use iDreamPublisher extension to upload website designs from Adobe Dreamweaver directly to iPad for later demonstration on the mobile device.